Philosophers have long conjectured that man is basically good. They obviously never met Derrick Durant. According to police, Durant recently made off with a Nintendo DS belonging to 7-year-old Michael Suhy. Suhy suffers from muscular dystrophy, a disorder characterized by the gradual degradation of muscle tissue to the point where the young boy is confined to a wheelchair. "He loves [the Nintendo DS], and it keeps him occupied, and he plays it a lot," Suhy's father told local news reporters. "We've been nice to that kid. In these circumstances, [the theft] was the most horrible thing in the world. He's defenseless and only 7." Durant, the ex-boyfriend of Suhy's elder sister, allegedly took the handheld during a recent visit to the boy's Pennsylvania home. He later fenced it at a nearby GameStop. 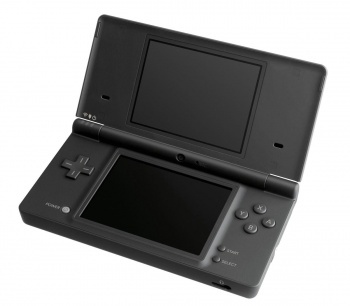 Using store surveillance footage and the serial number affixed to the the bottom of the DS, police were able to apprehend Durant, and return the system to its rightful owner. Durant now faces charges of theft and receiving stolen property. Admittedly, the theft is all the more tragic given the age of its victim and his physical malady, but in reality this sort of thing is depressingly common. I spent three years working in gaming retail -- not GameStop, but a similar environment -- and I can't count the number of times the police were called in to investigate our trade-in inventory. Outside of profiling customers based on the likelihood that they're suffering from methamphetamine withdrawls, or holding every trade-in item for days just in case they turn out to be stolen, there really isn't much stores can do to curtail this type of activity. So what's the solution? I just don't know. Even if Nintendo surgically implants an identification chip in the hand of every DS owner that prevents others from using their gaming machine, that just sets society up for a rash of horrific hand thefts.